Today we have with us author of Murder In Absentia, Assaph Mehr, to tell us a little about book two. Perhaps get a little sneak peek of what or favorite sleuth, Felix the Fox is up to on his next case. I loved book one, so i’m excited to learn a bit more about Felix’s next adventure. What can you tell us about your current book? My current work-in-progress is titled “In Numina”. It is a tale of haunted houses and household gods. The title is a play on the phrase “in nomine” – in the name of – which starts Catholic prayers, as well as the old Roman word for divine spirits, the numina. This is the second full length Felix mystery, following the award-winning Murder In Absentia. My first novel was inspired by a random comment from my wife, which made me start writing. Ever since then I haven’t stopped…. Whilst I was writing Murder In Absentia, I kept coming up with ideas for more stories. I kept them listed in a notebook, and am now working through them (as well as coming up with even more ideas). Some have been published as short stories on my blog (as a sample of my writing style for curious readers and confirmed fans), and some are for full length books, like the current WIP. In terms of the ideas behind In Numina, I wanted to explore several aspects of Roman life and religion, as adapted to the fantasy world I created based on it. The Roman had gods everywhere, and their houses were no exception. From the lares, or guardian gods, to the di penates, or gods of the pantry and thresholds. The Lares in particular are a feature of Roman culture and in this story. Each family had its lar, there were lares for buildings, major crossroads, and even public lares for the city itself. Forget about the twelve Olympians. With so many gods running around the city streets and alleys, surely something will go wrong. I am still drafting the novel. My main difficulty is in finding the time (I get to write on the train ride to and back from work – if I’m not too tired). In terms of contents, I do a lot of research into ancient Roman life, and then adapt those into a fantasy settings. That takes time as well… but luckily I enjoy this. There was also a scene where certain legs were broken and hands chopped off. Making your beloved protagonist’s life a living hell is always hard to write – not the least of which due to angry fan mail threatening consequences should I dare harm their favourite fantasy detective. Those would be my protagonist, Felix, and Aemilia. The stories are told in first-person view through Felix’s eyes. Sometimes it feels like he’s telling me his memoirs, and I’m just recording them. He’s a classic cynical, hard-boiled detective, who’s not afraid to lie and cheat to get his way. 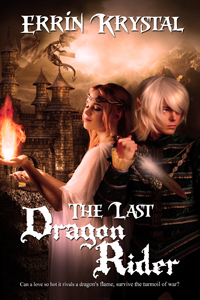 Aemilia is a young woman, with a rebellious spirit that time has not yet crushed. Playing a minor role, I still find her indomitable enthusiasm engaging – even if Felix complains she talks too much. Oh so many things…. I am sure I am by now on some government watch-list. Beyond the gods listed above, I also researched anything from lead production in ancient Rome, to ancient curse tablets, to magic mushrooms. Right now I am subverting some of Cicero’s best known speeches for a legal scene. Felix actually gave a few interviews for himself. You can read his words on the net here. As to what he had to say…. He used some unkind words about me. It seems like he was not satisfied that I have not yet paid him for his memoirs. He comes from a world where authors are appreciated, and their work are sold for profit. Research, as mentioned above, is a favourite activity. A particular aspect is researching and describing historically accurate cuisine. Whilst I do occasionally extrapolate the dishes into the fantasy world (the fixation on squid is mine), most of the dishes are accurate. When Felix is served brains-and-pine-nuts sausages and dips them in fermented fish sauce – those are actual Roman dishes. I’ll let you know when I finish the novel. The books are connected in the sense that there is a continuity in Felix’s personal life from one book to the next. They are set with a few weeks’ break in between. However, each book is a separate mystery. Each one represents a different case for a different customer that Felix is trying to resolve. I enjoy the world-building and character building across the longer span of several books, but I try to keep each story self-contained. I’ll name an author, rather than a novel. Boris Akunin is a great Russian author. His Erast Fandorin series of historical detectives is absolutely amazing. Each book is written in a different style of mystery, from cozy, to military, to horror. When we say “under-appreciated” I should qualify this as “in the West”. In Russia, Akunin is very well known, and sells more books than JK Rowling. Only the WIP. I have the starting points and plot ideas for a further two full-length novels, as well as several short stories. They are simply waiting their turn. For Murder In Absentia, there were a couple of scenes that didn’t work well, and got cut. Other than that it is mostly a matter of sentences or paragraphs that don’t work, and need either to be rephrased or cut out. By nightfall we had been well prepared. I gathered all the items. I set up defences. Borax and Cornelia’s bodyguard well armed and positioned, although the bodyguard scoffed at Borax’s iron skillet, and carried a more traditional small shield. I scouted the most likely location, considering that up to now whoever laid them in the insula had been fairly consistent in the way that they used the tabulae defixionis. It was probably done by the same man, following the same set of instructions — sneak in at night, find a patch of earth in the courtyard, bury the folded lead tablet, activate it, and run away. I was tempted to just dig around. Skip the psilocybe and save myself the nausea and other side effects. But I knew that wouldn’t quite work. Besides not knowing quite where to dig and not wishing to spend the night in slave labour, it would make us more vulnerable to the curse. Under the effects of the mushrooms, which I hated, I at least had the benefit of heightened awareness to the flow of magia. So off I went, setting up required tools and weapons, cooking away my enchanted omelette, and getting myself into a state even the most experienced on incantatores try to avoid. And, as always, Fortuna likes to remind me why my name is Felix. She likes to point out that I should trust in her, and not in best laid plans. Those never seem to work. When the night air around me acquired the now familiar silvery luminescence, when the walls shimmered and all colours became accentuated like trees in fall, I saw and traced the spiderweb of power to the spider at its centre. It was looking at us with that inscrutable blank look of insects, the light from our torches reflected in its eight eyes, its mouth opening and closing, sharp fangs visible. The bodyguard made a choking noise and froze, but Borax and I picked up ready spears and went at the giant arachnid with well practised stabs. We managed to keep the beast occupied enough so that it could not pounce, confusing it by attacking from different directions with wild yells. The bodyguard was not of much use, obviously terrified and barely managing to hold his spear levelled at the spider. It was enough, though, and the three of us managed to overcome the arachnid from the pits hades. It was when I was about to congratulate myself and the slaves on a well executed plan that Fortuna chose to remind me that I am forever in her thrall. It started as a faint buzz. It grew in volume, till it set my teeth rattling, till my ears felt they would explode. It came from above. We looked up, at the square patch of night sky visible in between the enclosing walls of the insula. A few stars were visible, shimmering, blinking, appearing to move. As they descended upon us we saw them for what they really were — a swarm of angry bees, each the size of my fist, the light from our torches and braziers reflecting in their translucent wings. We quickly found the futility of normal weapons against a swarm of fast moving insects. The bodyguard had lost all pretence of self-control, and ran away screaming and blabbering. From the sounds the followed, he did not make it out of the building and into the street. I was waving my torch furiously all around me, but it was Borax who got the right idea. He grabbed his cloak from the ground and started waving it in wide arcs. It created a space around him, where the monstrous bees could not approach without being swatted. I crouched near him, and on the third attempt managed to light the edges of the cloak from my torch. The fire and smoke angered the beasts but kept them at bay. One day I’d have to buy Borax from Crassitius outright. As Cornelia’s bodyguard demonstrated so succinctly, good help is hard to find. Having someone that was so calm in the face of the unexpected, and not due to lack of reasoning faculties, was a lifesaver in my profession. We slowly sidled closer to the brazier. An incantator once told me of enchantments that could send bees to sleep without smoke, but alas I never had the chance to learn them. I simply heaped everything I could find around me on the brazier, and while Borax was waving the burning cloak though the air around us, I used a reversal of a small incantation I knew, and caused the courtyard to fill with thick smoke. We started to cough and had to retreat inside the building, but the smoke did drive the giant bees away. As the smoke rose up and out of the courtyard, I could hear distant alarm bells. I crawled on the ground under the layer of smoke, found the spot where the lead tablet was buried, and hastily dug it up and threw it into the prepared purse. Borax and I managed to make our escape just as we saw the vigiles bearing down the street toward what they must have thought was a tenement building on fire. Dark Moon Wolf – Release Day!